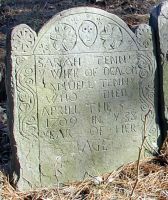 Family Samuel Tenney, b. 20 Nov 1667, Bradford, Essex Co., Mass. 1. Mercy Tenney, b. 23 Oct 1691, Bradford, Essex Co., Mass. 6. Joseph Tenney, b. 16 Mar 1699, Bradford, Essex Co., Mass.